New Horizons clients have been baking cookies through the organization’s food preparation program since 1982. Up to now they have been distributed at New Horizons and at local events. 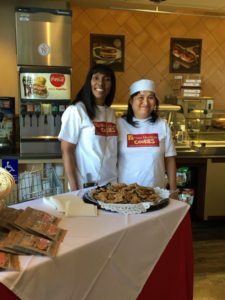 The nonprofit’s new partnership with Vons will introduce them to a whole new audience of cookie lovers, while allowing its clients to be an even bigger part of the community. New Horizons Cookies are being launched on Friday, but you can come to Vons and Pavilions today and tomorrow (April 27 and April 28) when we will be offering free samples of the cookies and the opportunity to buy them at a special pre-launch price! 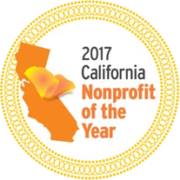 100% of the proceeds from New Horizons Cookies sales will go towards benefiting New Horizons programs and services which include job training and placement, education, counseling, residential services and social programs for more than 1,000 adults with special needs annually. Albertsons, Vons and Pavilions operates 352 stores and has over 36,000 employees in Southern California. The Fullerton-based chain is a division of The Albertson’s Companies, one of the largest food and drug retailers in the United States. With both a strong local presence and national scale, the parent company has more than 250,000 employees and operates 2,200 stores across 35 states under 18 well-known banners. In addition to Albertsons, Vons and Pavilions, the banners include Safeway, Jewel-Osco, Shaw’s, Acme, Tom Thumb, Randalls, United Supermarkets, Star Market and Carrs.